During the holiday season, there’s generally more coming out of your bank account than there is the rest of the year. Tis the season for gift giving! Spending so much this time of year often leads people to prioritize saving money in the new year. One great way to do so is by simply programming your thermostat. 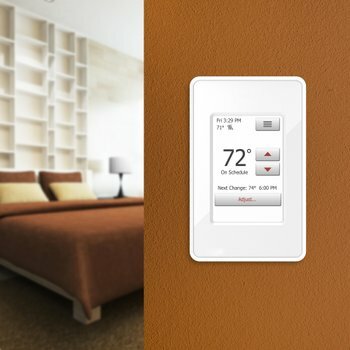 You can save about $180 or 15 percent in energy costs every year just by programming your thermostat. However, most homeowners don’t know the best way to use their thermostat to yield the best results. The key is how you set the thermostat when you’re away or asleep. During the winter months, the rule of thumb is to program the thermostat so that it is 10-15 degrees cooler when you are away from home. By turning your thermostat down for just 8 hours, you can save 5-15 percent on your heating bill, according to the U.S. Department of Energy. Here’s an example of how that schedule would look. By programming your thermostat, you can make sure the house is warm when you step out of bed. 6:00 a.m.: Wake time. The heat automatically kicked on earlier to bring the thermostat up to 70 degrees Fahrenheit at this time. 7:00 a.m.: The family leaves the house and the thermostat kicks down to 60 degrees. 5:30 p.m.: The family starts returning home. The heat automatically turned on earlier so that it would hit 70 degrees again at this time. 10:00 p.m.: The household goes to bed and the thermostat goes back down to 60 degrees. To play around with different schedules and get a better handle on how to program a thermostat, check out the Energy Star® programmable thermostat tool. By identifying when your family is typically away and asleep, you can program your thermostat accordingly and, therefore, save money and energy. After all, why would you pay to heat a house that nobody is in? A programmable thermostat ensures that you’ll feel warm when you’re home and save money when you’re not. It’s a win-win! 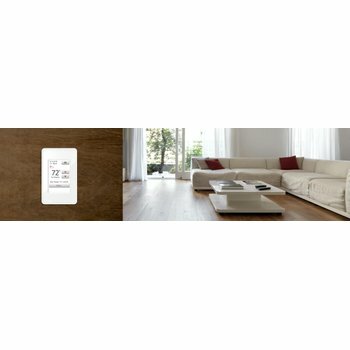 The nHance programmable thermostat is a simple, affordable option. Now that you know why you need a programmable thermostat, you have to select a thermostat. 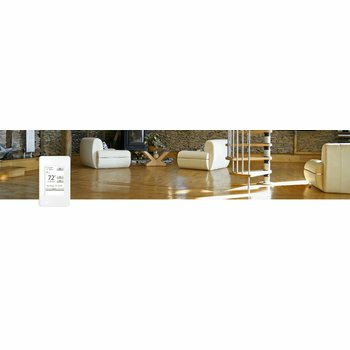 For compatibility with an in-floor heating system, WarmlyYours Radiant Heating offers a brand-new range of programmable thermostats: the nSpire Touch WiFi, nSpire Touch and nHance. The nSpire Touch WiFi programmable thermostat features a 7-day programmable schedule with a 3.5-inch color touchscreen. Its WiFi connection enables it to be controlled via a smartphone or tablet; it also allows the user to see the weather forecast right on-screen. Similarly, the nSpire Touch programmable thermostat features a 7-day programmable schedule and a 3.5-inch color touchscreen but without the WiFi connection. 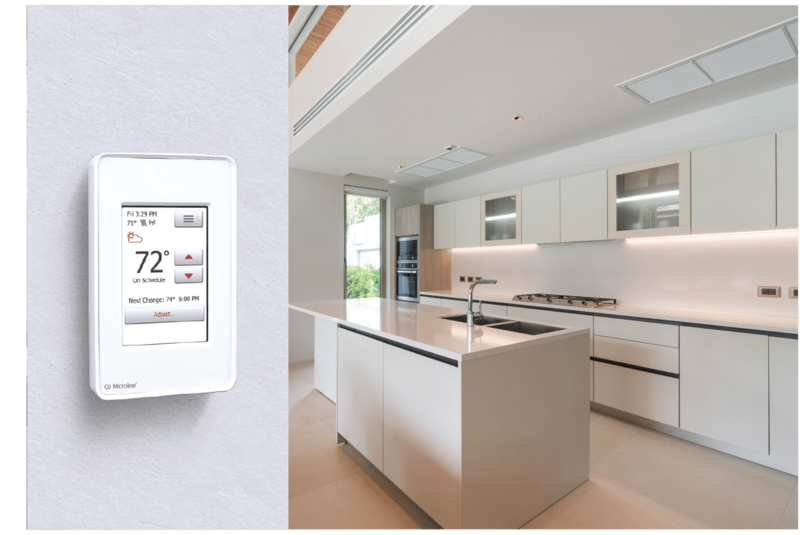 Finally, the nHance programmable thermostat is the most affordable option, with a 3.5-inch backlit display and 7-day programmable schedule. 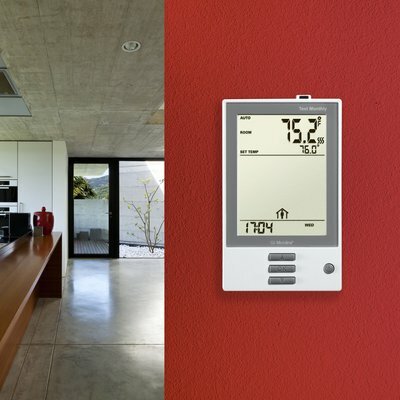 For more information about our floor-heating thermostats, visit www.warmlyyours.com. To share your thermostat schedule and how it’s helped you save, post on our Facebook page!